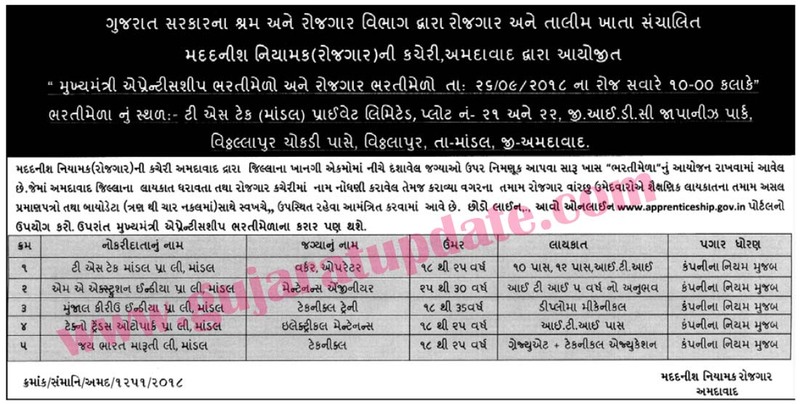 Home » Recruitment » Employment and Training Department Ahmedabad has published Advertisement for “Apprentice / Rozgaar Bharti Mela” (26-09-2018). Employment and Training Department Ahmedabad has published Advertisement for “Apprentice / Rozgaar Bharti Mela” (26-09-2018). Employment and Training Department Ahmedabad has published Advertisement for “Apprentice / Rozgaar Bharti Mela” (26-09-2018). Other details are given below.